Katie is a senior at The University of Pittsburgh from Saxonburg, PA. She will graduate with degrees in Marketing and Human Resources Management with a Certificate in Leadership and Ethics from the College of Business Administration in April 2019. She’s had internships working for the Parramatta Eels Rugby Team in Parramatta, Australia and BNY Mellon in New York City, NY. After graduation she plans to build a career that incorporates both Marketing and Human Resources and is very excited to get started. Sarah was born and raised in Pittsburgh, PA. She is a senior at the University of Pittsburgh majoring in Marketing with a certificate in Leadership and Ethics. Following graduation, Sarah plans to pursue a career in fashion merchandising and loves the fast pace of retail. She is currently a sister of Delta Zeta and a member of Fashion Business Association. In her free time, Sarah loves to travel and experience new cultures and places. Jane is a senior at the University of Pittsburgh studying marketing and pursuing the Certificate Program in International Business. Outside of her classes, Jane spent much of the last three years involved in Pitt Pathfinders, campus tour guides and visitor services representatives. Jane currently serves as the Vice President of Membership for the over 200 people in the organization. Between Pathfinders and her other classes, Jane has developed significant interests in customer service and event management. Prior to this class, Jane had interned with a few non-profits working on their social and digital media management and also spent a semester abroad in Sydney, Australia. Jane will be graduating in April and hopes to find a career that allows her to work with people to solve problems in new and exciting ways. Rebecca Kubiczki is a senior Marketing major at the University of Pittsburgh. She will graduate in April 2019 and will obtain her degree along with a certificate in Business Analytics. She is also a member of the Pittsburgh Advertising Federation. After graduation, Rebecca plans to begin her career and hopes to work at an advertising agency where she can use her creative skills. In her free time, she enjoys drawing and staying active at the gym. Rebecca is looking forward to what the world (both in and outside of the workplace) has in store for her. Russ is a senior Marketing student at the University of Pittsburgh, pursing a certificate in Business Analytics and a minor in French. Outside of the classroom, he is the President of Pitt Racquetball Club and is involved in Pitt’s chapter of the American Marketing Association. Russ’ career interests include Marketing Analytics and International Business. He is particularly interested in start-ups and has two years of internship experience at Carmell Therapeutics, a Pittsburgh-based biotech start-up. He also has international internship experience with a start-up in Paris and volunteers on the due diligence team of BlueTree Allied Angels, where he assists in due diligence research on start-ups. Russ will graduate in April 2019 and is looking for a career that will allow him to develop his marketing analytics and entrepreneurial skill set. 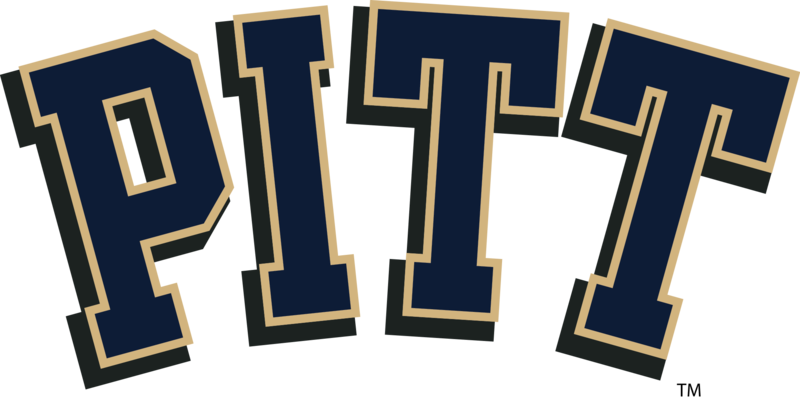 FOX Sports and the MLB challenged Pitt business students to develop an over-arching messaging strategy that both the network and league can utilize to raise awareness of their joint sustainability efforts at the 2019 MLB All-Star Game. Professor Robert Gilbert has been a member of the University of Pittsburgh College of Business Administration faculty for over 15 years. Professor Gilbert developed and teaches the Projects in Marketing course at Pitt. In the course, students design and implement promotional campaigns for clients, and often have the opportunity to compete at the national level against other universities. Students in the Projects in Marketing course have won nine national marketing competitions. The Pitt Business students have taken first prize for their work with Honda (three times), American Eagle Outfitters (twice), Nissan, Goal Financial, Chevrolet, and Mazda. Professor Gilbert is a recipient of the Chancellor’s Distinguished Teaching Award. One of the University’s highest honors, the award recognized Professor Gilbert’s passion for teaching – and his innovations in course development, which have drawn national attention to Pitt Business. He also recently received the Pittsburgh Advertising Federation’s Patricia Martin Crystal Prism Award in recognition of inspiring the next generation of advertising and brand management professionals. Professor Gilbert spent fifteen years in the telecommunications industry, working in a variety of sales, sales management, marketing, and strategic planning positions with Bell of Pennsylvania, AT&T, and Bell Atlantic Corporation. He has consulted with firms across the country in the area of international trade, filing and administering unfair trade practice cases against foreign companies in the steel and chemical industries. His teaching and research interests focus on the areas of brand management and advertising effectiveness.